First published March 19, 2017 , last updated April 8, 2019 . Reading time: 3 minutes. Whether you get a professional hair cut or do it at home, maintaining a haircut is part of everyone’s reality. And now which one is better: getting your hair cut by professional hair clippers or by home-use equipment? We will take a look at the pros and cons of both options! Professional hair clippers carry a higher price compared to home-use-equipment. Basic home use equipment for cutting hair ranges from normal scissors to razor blades. Such equipment is easily available at home and may be used for other multiple uses like cutting paper, cloth or any other application, but of course, you don’t want to cut your hair with those. Professional hair clippers can be bought online or at the shops and their prices range from as low as $5 to more than $100. Once you get a good quality pair, you’re most likely to take a while before investing again in expensive equipment. The level of professionalism needed for using professional hair clippers is high. In fact, anyone could easily use home use equipment. The level of complexity of each professional hair clipper ranges from one to another. It is true that manufacturers of professional hair clippers do their best to make sure their equipment is easy to use. 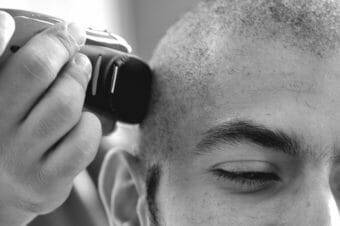 However, you still need some basic knowledge to know how to switch on-and-off, how to hold clippers and how to move it around the hair area. 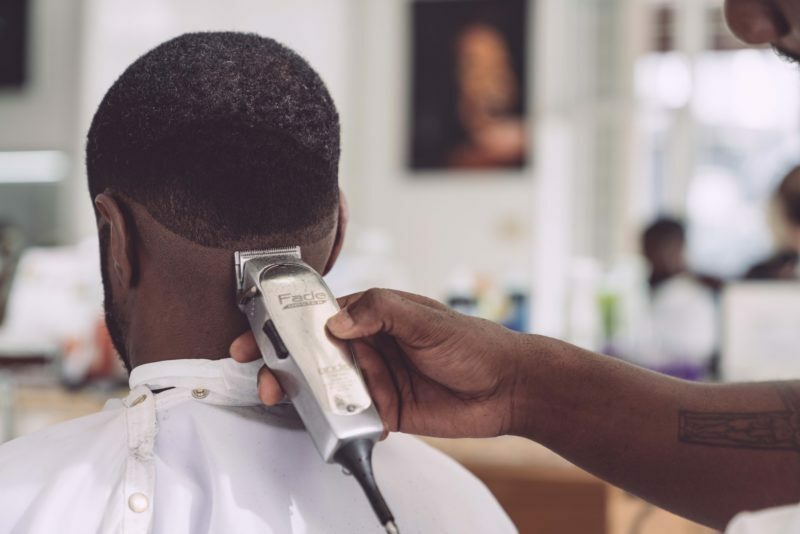 To achieve a professional haircut using professional hair clippers you may need to get lessons from professionals (or, even better, follow our guides ;). The challenge of evolving tastes and preferences in styles of customers keeps most of the professional haircutters on their toes. If one has to remain relevant to the hair market, they surely need to up their game. Most professional hair clippers are designed to give an artistic touch to the overall finish. The home use equipment, on the other hand, is more rigid in nature and may not be able to maneuver around complex hairstyles. Especially for those who have the professional skills to go with the equipment, professional hair clippers offer great opportunity to unveil great style. 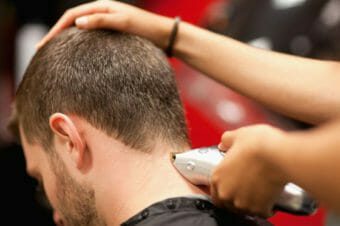 Remember that good skills without good equipment may not yield much… Of course, if you’re planning to buy your first hair clippers, it is not the best to choose the most expensive hair clippers out there. But once you start learning and feel confident about your skills, you can step up your game and go for the best hair clippers out there. Professional hair clippers offer more advantages, obviously, but those don’t come for free. Before making any decision, consider how much time would you be willing to improve your DIY skills, how much money you’re willing or can spend, and most importantly, read what others are saying about the product. To each their own, so even the best hair clipper there is might not be the most suitable for your needs. Be mindful of these criteria and we’re sure you’ll find one for good!